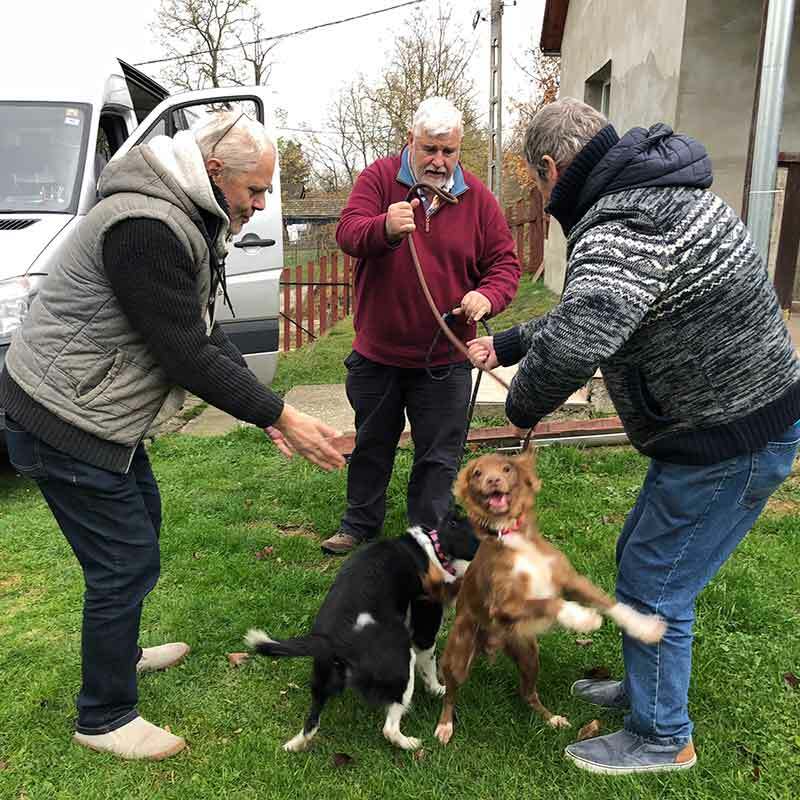 On the way to happy reunions in Hungary for Paul, Richard and Rosie with their nine pets, couriers J and M drove through Italy, Slovenia and Croatia. 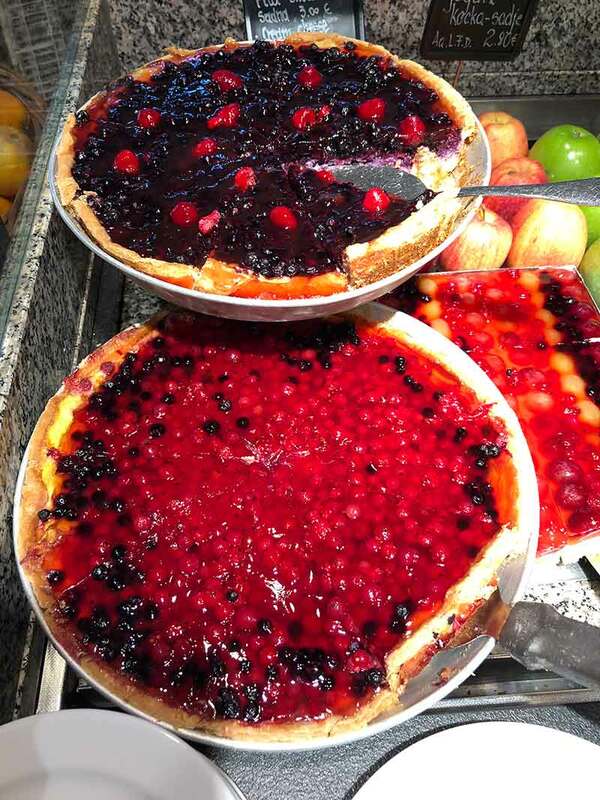 Tarts and pies in Slovenia. How does one keep trim when treats like this are on offer?! 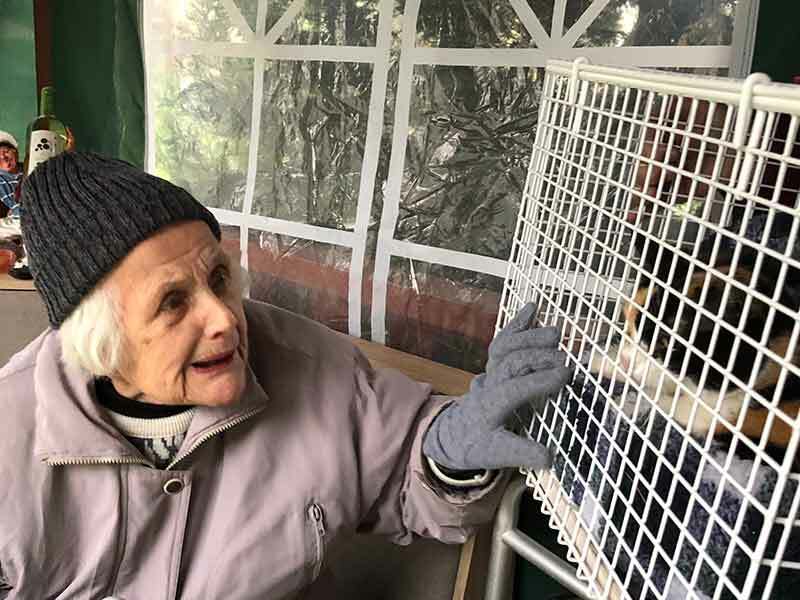 We arrived to find a happy household of expectant pet owners — the human family had travelled the day before and had everything ready for the dogs and cats. The dogs have never lived with a garden before, so there was lots of rushing about and exploring to do. 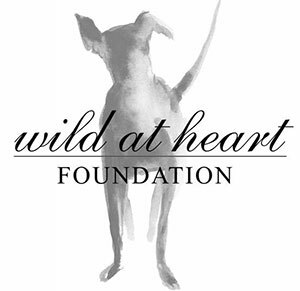 We then turned around and headed back to Croatia, to meet our next passengers at a dog shelter just outside Dubrovnik. 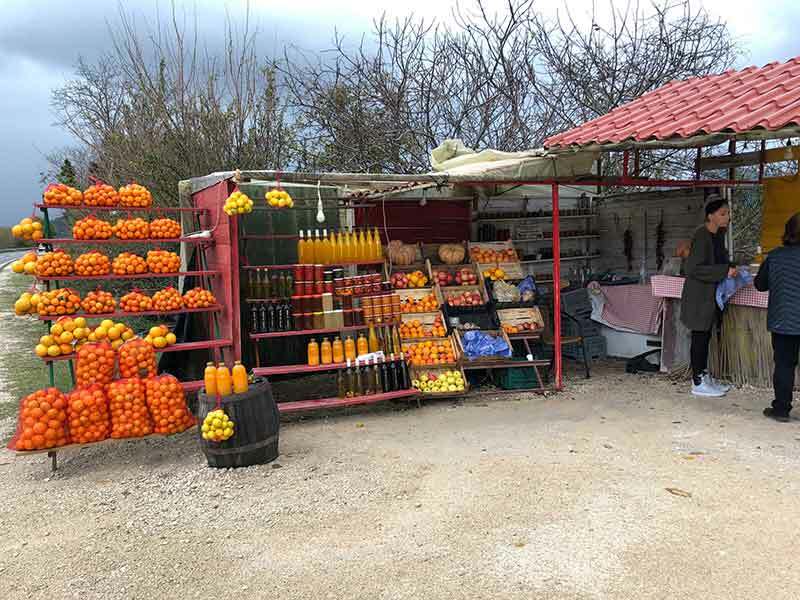 In Croatia we saw lots of orange and clementine trees. We stopped at one of the many roadside stalls and came away with far more goods than intended, thanks to a charming and effective saleswoman! 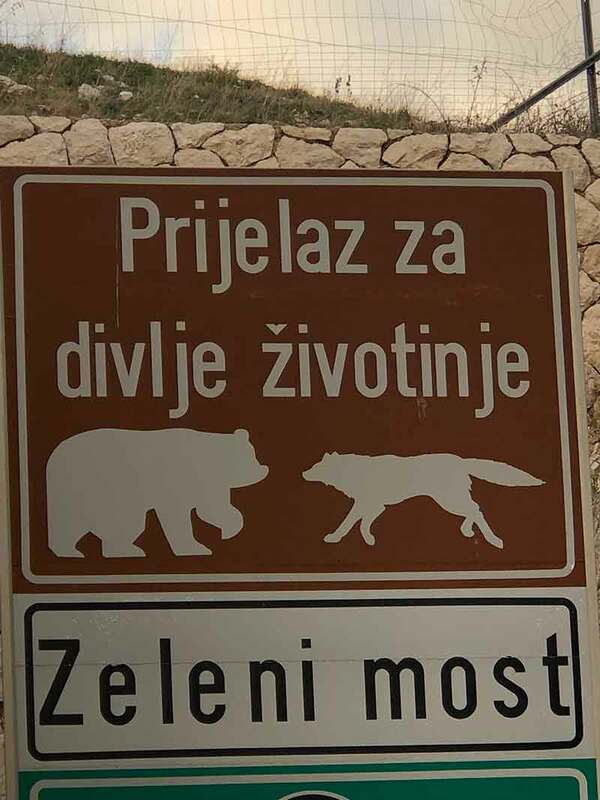 Another sign near Dubrovnik — presumably a warning about road hogs! We’ve experienced many holdups on our journeys — strikes, ferry cancellations, bad weather — but never a car on fire before. We were less than a mile from the dog shelter and near the top of a mountain. Fortunately the fire service turned up fast to deal with it. Fortunately too it was raining, so the fire didn’t spread to the nearby trees. Wow, scary experience with a car fire. Glad everyone was safe. One of the more dramatic hold ups but luckily all sorted quickly. Wow. 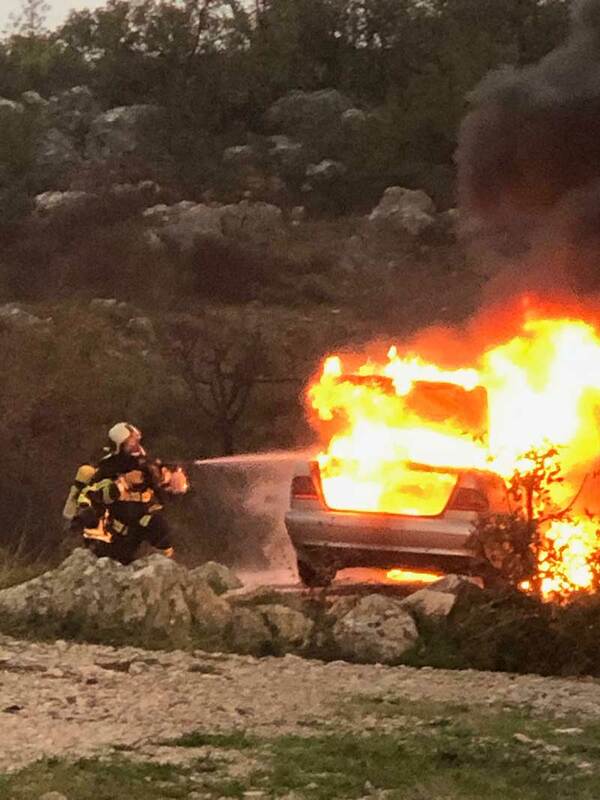 That’s quite a car fire. Happy you made it through everything. Yup, it lit up the sky. Don’t leave us hanging! Did you get to the shelter?! 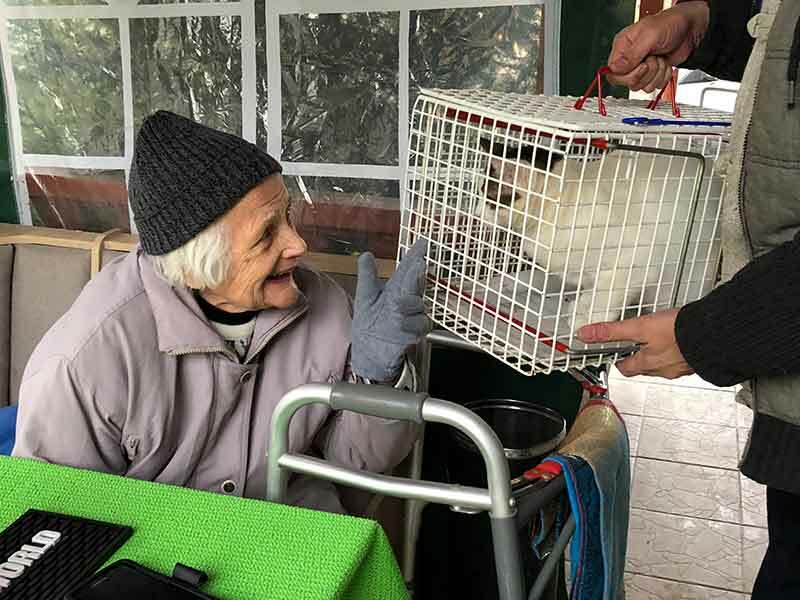 Always great to see happy pets and people. The tarts were had by couriers J&M! There was drama with the fire but luckily no disaster. I smiled at your road sign but was horrified by the burning car. We’d much prefer to meet road hogs. 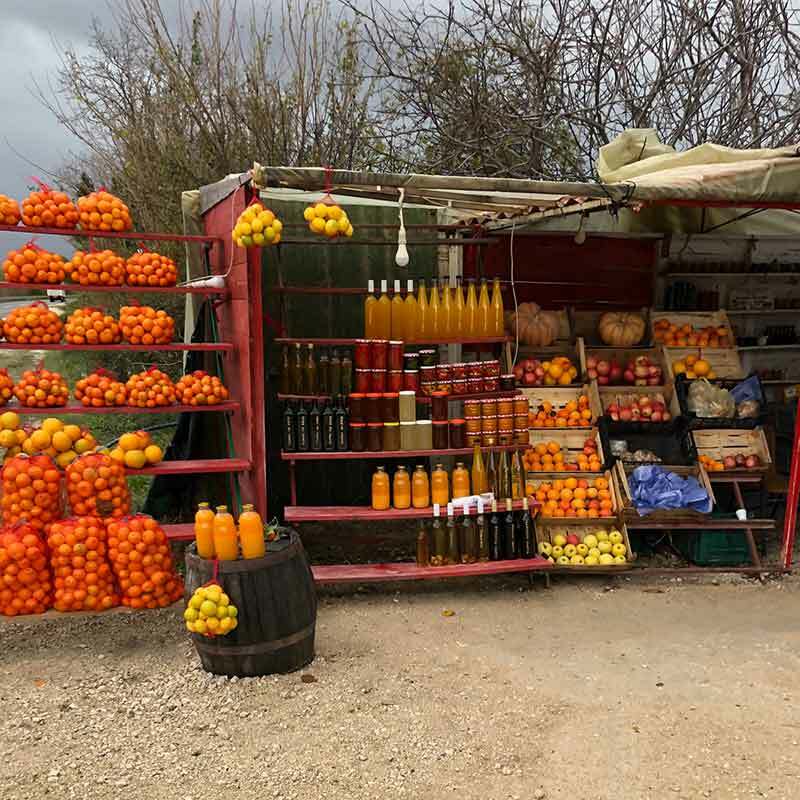 The tarts look wonderful and that fruit stall looks very inviting. Bailey sure looks happy! I hope they all settle in quickly. We love road food! They’re settling in very nicely. wonderful, caring for the pets! But luckily nothing else caught fire too. Meow meow Hungary is so-o far away…LadyMew showed mee on a map…..yore Coureerss are wunder full peepill to chawfurr efurryone to such xotick placess! An thee clemmytiness look so yummy! Miss Rosie iss lovelee too! An THE car on fire was scary! LadyMew told mee shee NEVURR saw this happen on yore bloggee either! 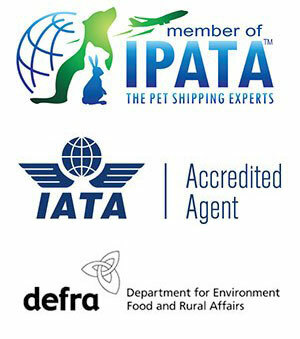 We’re travelling to new places at the moment which is fun for the couriers. 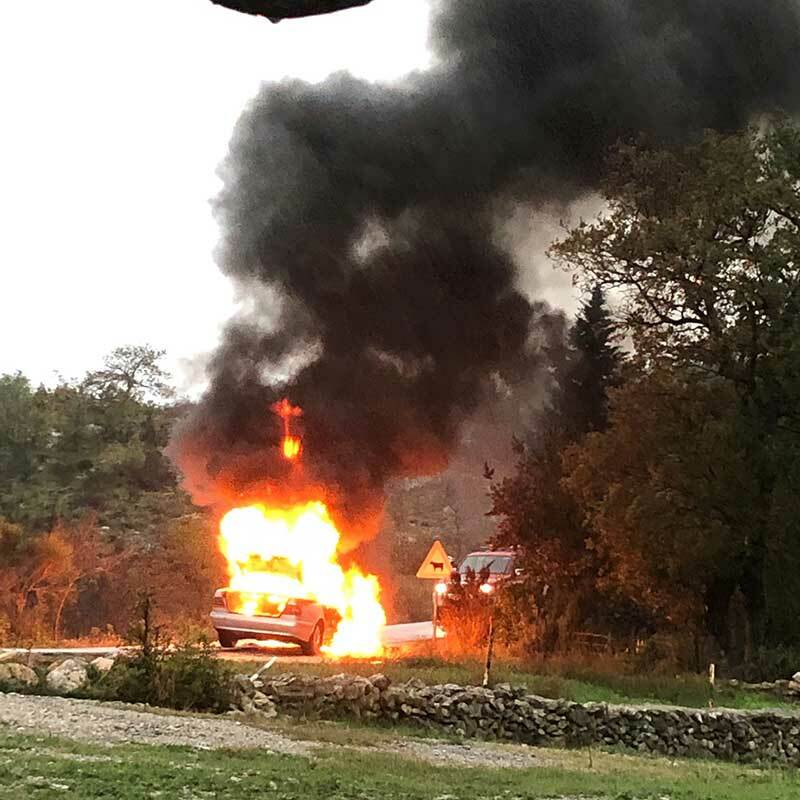 WOW……..that burning car is scary indeed but thankfully the rain and quick fire brigade kept it from spreading – hope nobody was hurt! As for the reunions – they all look VERY happy indeed. 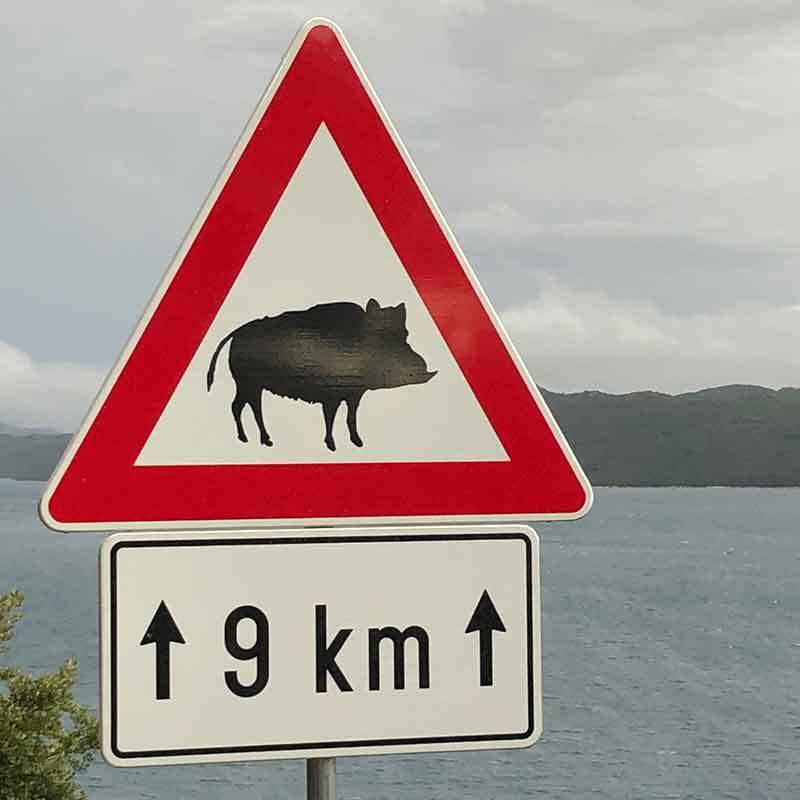 That “road hog” sign is hilarious but we do know that there are a lot of wild boar around in many parts of Europe!! !